The wood from conifer trees has a variety of uses. Spruce features a straight grain. It is a light, softer wood, but it works well for basic construction projects. Spruce trees that have been allowed to grow and mature have been found to possess acoustical properties, making the tree better suited for use in the construction of musical instruments such as guitars, violins and pianos. 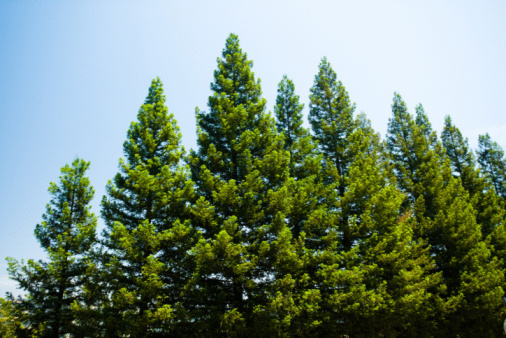 Spruce can also be used to build airplane panels and boat hulls, ladders and oars. However, spruce is known to rot easily, swell easily and also burn easily. Fir wood can go either way and be ideal for use in construction or shoddy and undesirable, depending on the species. 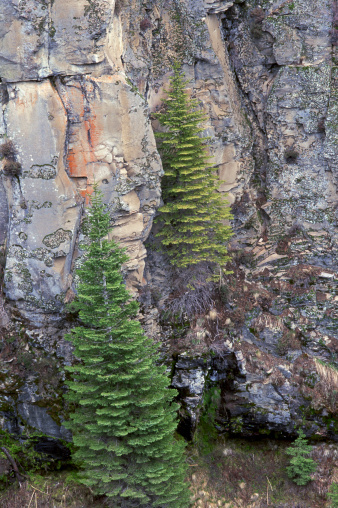 Douglas fir woods are strong and ideal, with straight grains that are the result of long, straight trunks. Their wood is resilient and therefore a favorite choice for many people in various trades. The dense grain of the fir wood make it ideal for use in construction, as it holds a nail well and can be used for flooring, windows, panels, trim and doors. Fir is also used in plywood of both high and low quality.